Where’s Wally Odlaw Costume including a Top, Trousers, Hat, Moustache, and Glasses – Ideal for Book Week, an 80’s theme, or any fancy dress occasion! If you want to stand out from the crowd then transform yourself with this fabulous Where’s Wally Odlaw Costume. 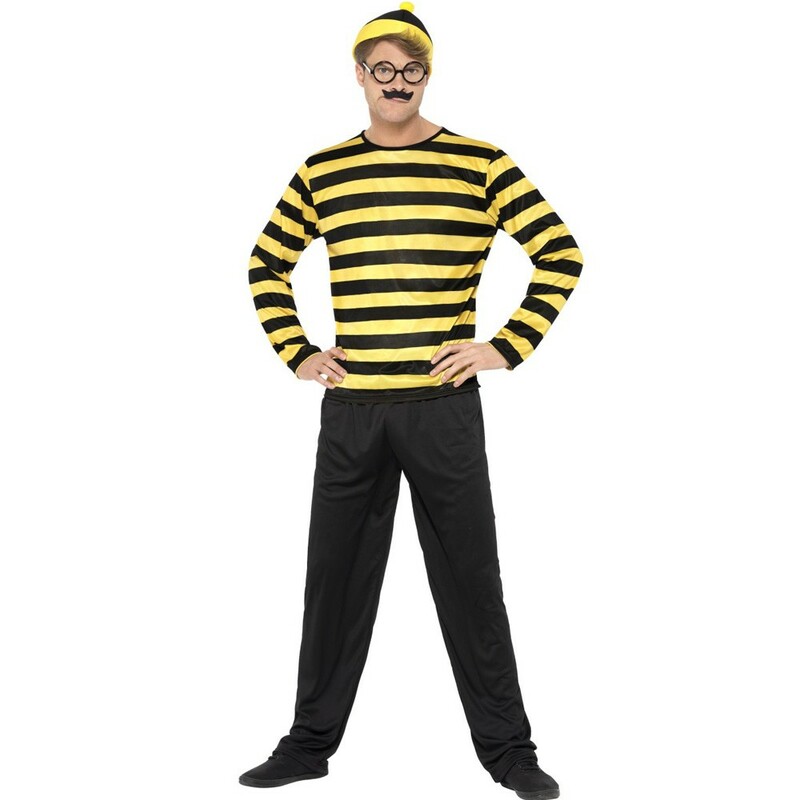 This licensed costume comes complete including a Top, Trousers, Hat, Moustache, and Glasses. 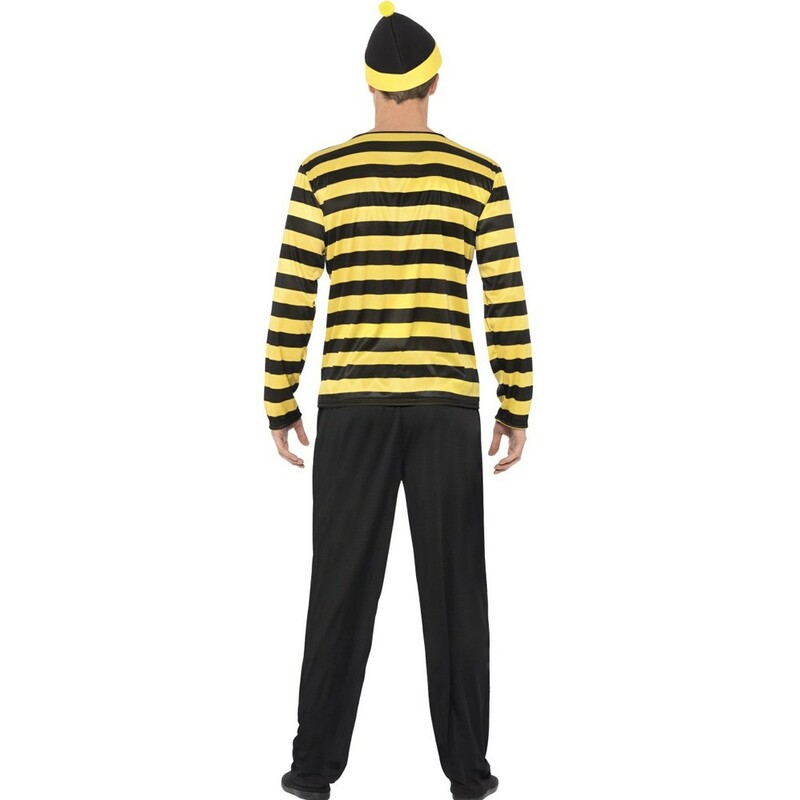 The Where’s Wally Odlaw Costume includes a black and yellow striped long sleeve Top and a pair of black Trousers to complete this look. 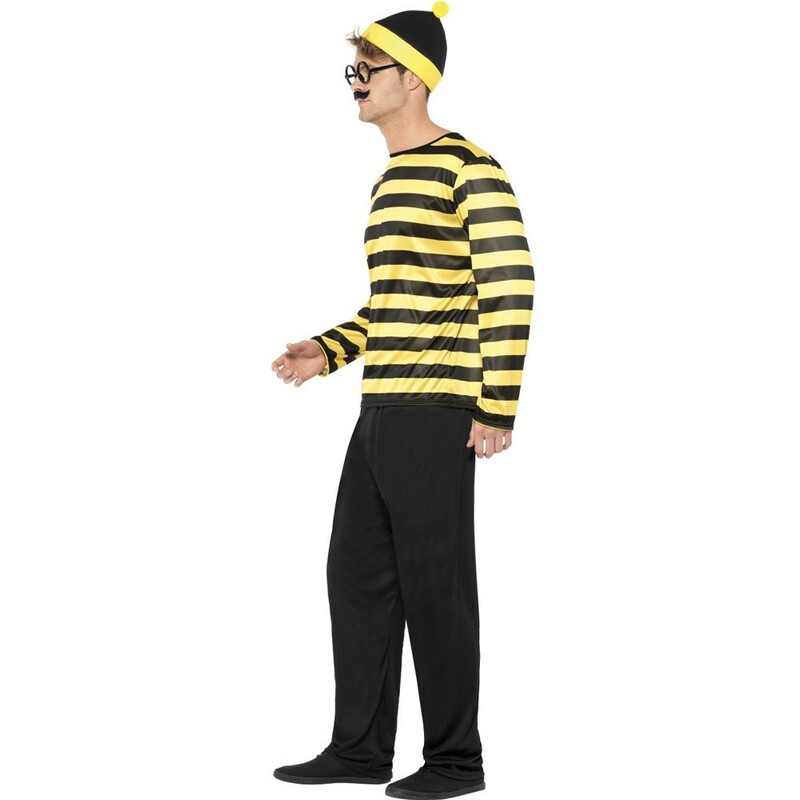 This Where’s Wally Odlaw Costume also includes a black and yellow striped Hat with yellow pom pom, black moustache, and black-framed round glasses. Perfect for Book Week, an 80’s theme, or any other fancy dress occasion, this Where’s Wally Odlaw Costume will be sure to impress no matter what the occasion! So party in style with this incredible Where’s Wally Odlaw Costume. A Where’s Wally Odlaw Costume.